Resimercial is the latest buzz word in the world of commercial office design. Often utilised in conjunction with activity-based working (ABW) but not really explained. Resimercial is a combination of residential (think home) and commercial (think office space). 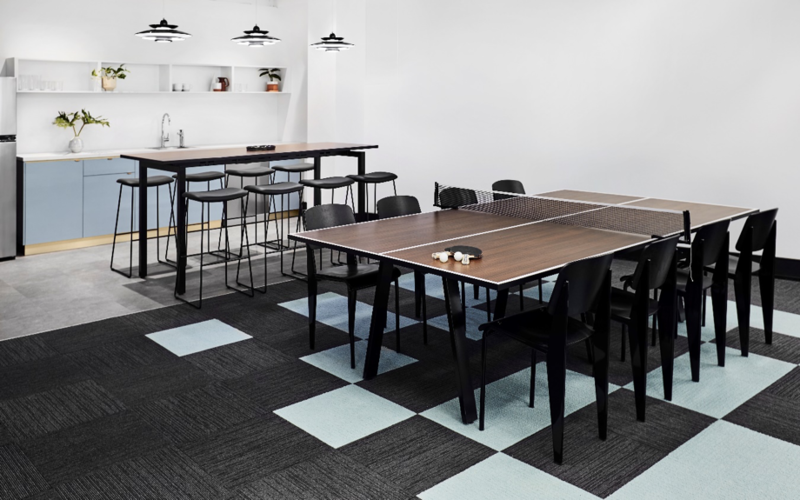 The idea has been present in the realm of design for many years, but only recently has it come to have greater definition and to be a foundational element of modern workplace design. 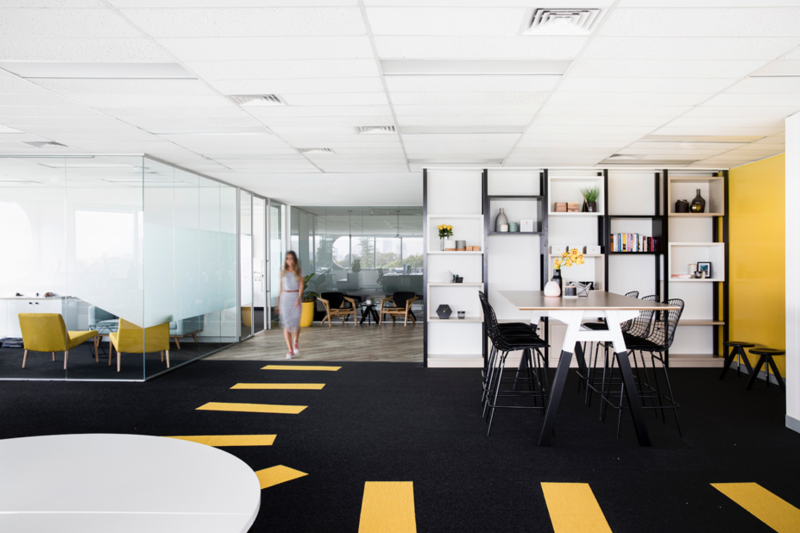 Resimercial office design has often been dismissed as just the simple inclusion of residential furniture into a workplace (commercial environment) but it is so much more. Whilst the inclusion of ‘homier’ furnishings is part of the concept, it is what these items initiate that renders them relevant; a relaxed feeling in the workplace which leads to increased productivity and collaboration, the breaking down of hierarchy that inhibits conversation; and an increased willingness of staff to spend more time in the office, are all changes which positively affect the success and growth of the business. With mobile technology and the development of cloud-based activity, the very nature of ‘work’ has shifted. The boundaries between home and the office have blurred; we check our work emails on our mobiles whilst at home, often working out of ‘standard’ hours and a fixed environment. The resimercial environment responds to this by creating life-friendly amenities in the workplace. There is a greater variety of spaces which serve different purposes, similar to a home environment. The hub of the home is often the kitchen, organisations now are replicating this, allocating more space to the Kitchen/Breakout which fosters collaboration and social interaction. The home office, or study, is akin to the workplace quiet or focus room. When this approach is coupled with ABW, it can assist staff and teams to adapt quicker and more willingly to the new working approach. When employees feel comfortable and relaxed, they’re more accepting of change; recognising that the ‘old ways’ may not be the best for the future of business. Unsurprisingly, this movement goes hand in hand with the growing importance of positive culture and wellbeing in the workplace, as well as in everyday life. We’ve noticed the increasing relevance of resimercial design (and ABW) in our 14 years in the commercial industry, with this evident in more clients embracing the idea, and our team’s thorough understanding of the importance of a space to the wellbeing of the person in it. 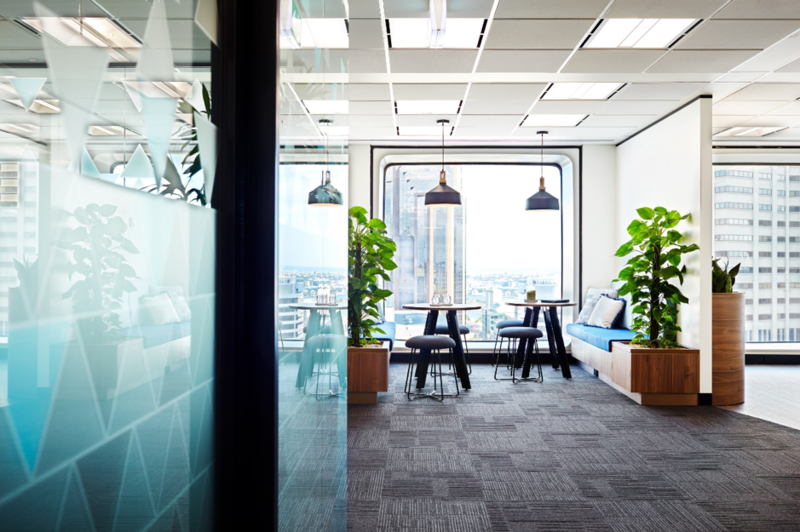 The traditional, more formal approach to workplace design is becoming less relevant for an increasing number of businesses as they explore a more adaptive environment. Staff members are proud of their office spaces, and businesses that adopt this approach are seeing the benefits. Once this approach is adopted more widely, the benefits to work and home life will be exponential. Click here to learn more about how office design can boost productivity.